One of my first stops of the morning was to swing by and see Joe Gaddy and Dudley Parker. 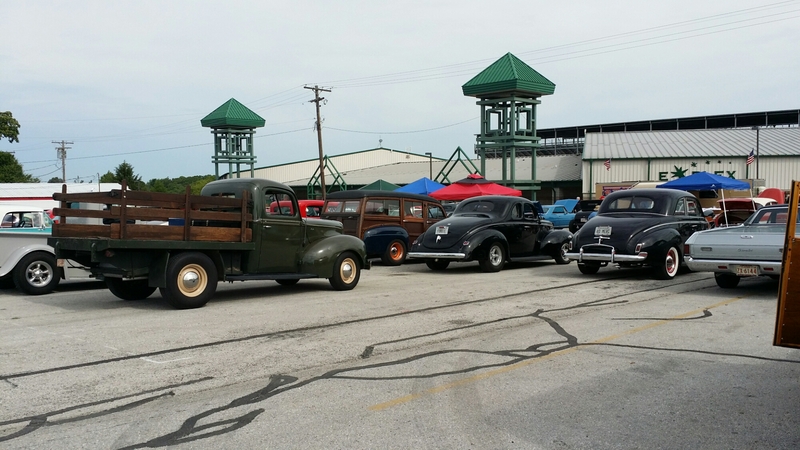 The NSRA Mid America Street Rod Nats were last weekend. I always look forward to the event, as it brings several of my friends to town, and I get to catch up with them. 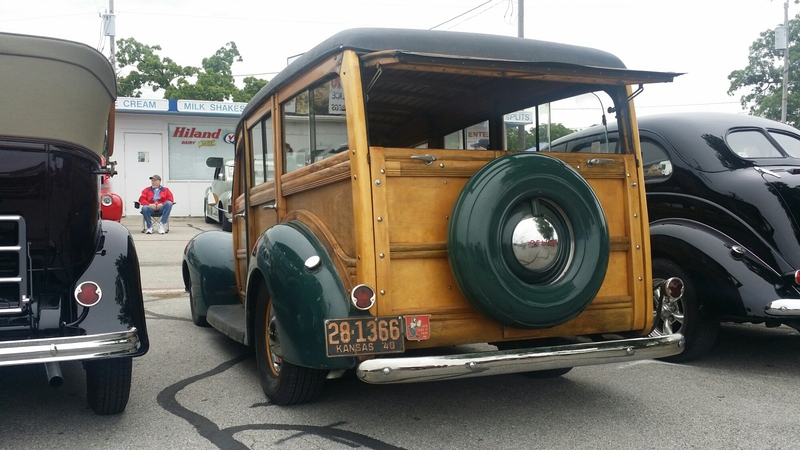 Dad and my step-mom drove down in his ’34 sedan, and it’s always cool to get to hang out with them, too. 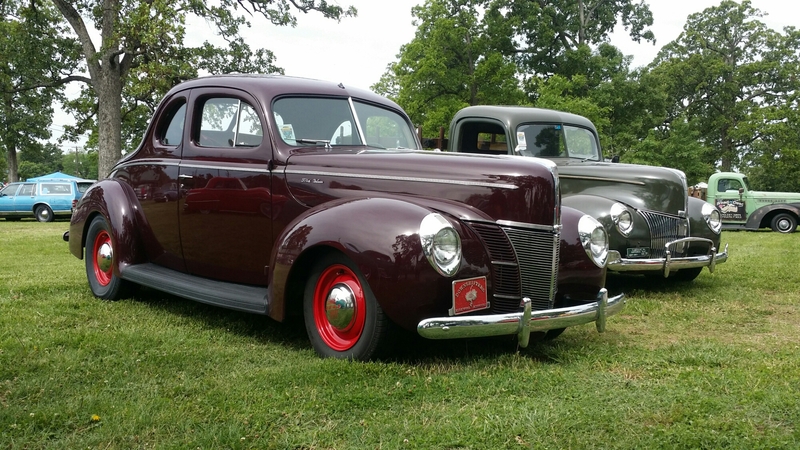 David and Jan Conrad drove their ’40 Deluxe. 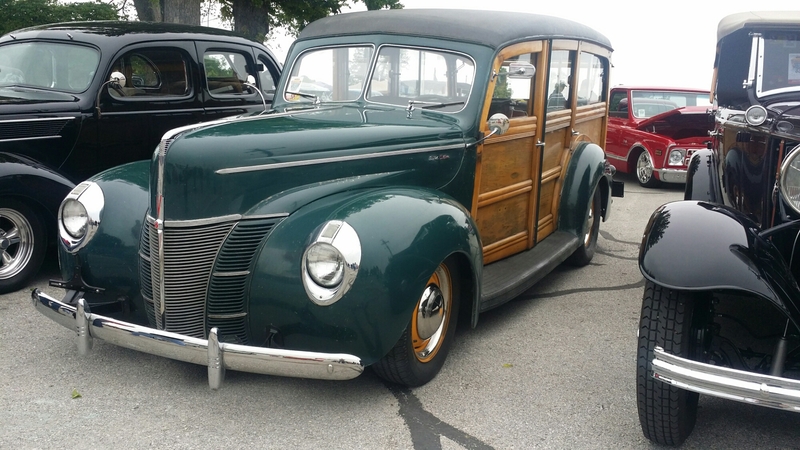 I fell in love with this ’40 Woodie! Randy Young brought it over from Newton, Kansas. 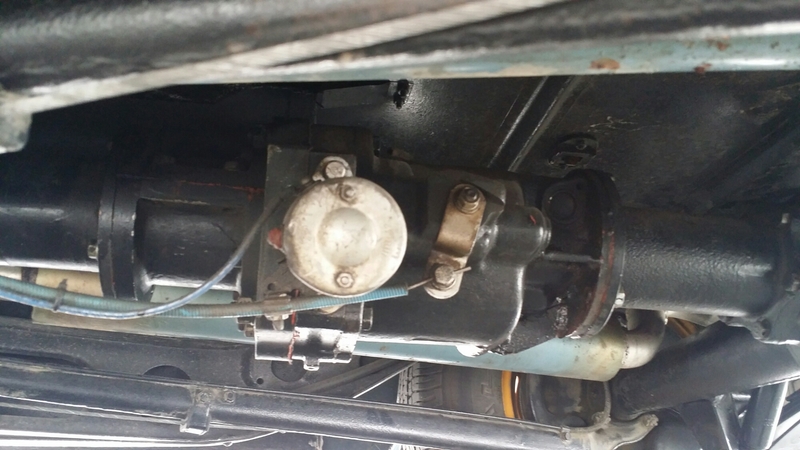 A Lloyd Young Borg Warner R10 overdrive converted torque tube. Man, would I love to have one of these in the stake truck! I caught this photo coming down the hill towards where we normally park. 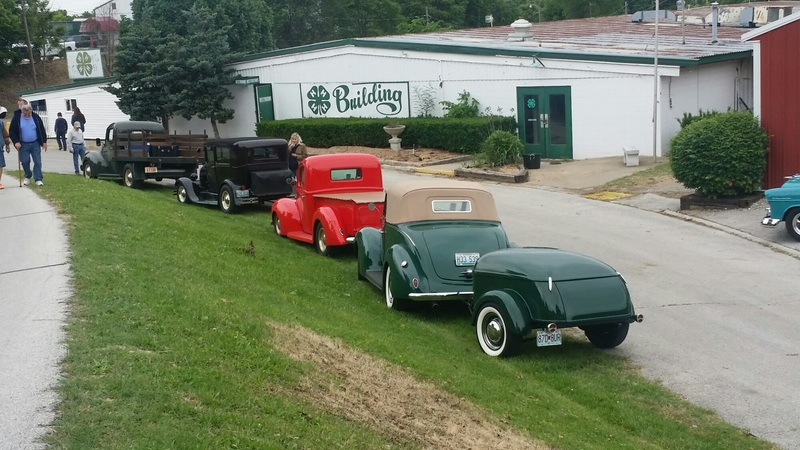 My stake truck, out on point, Larry and Pat Gereau’s Model A Sedan, Don Albers’ ’40 Pickup, and Dickie and Barb Carroll’s ’38 Deluxe convertible. 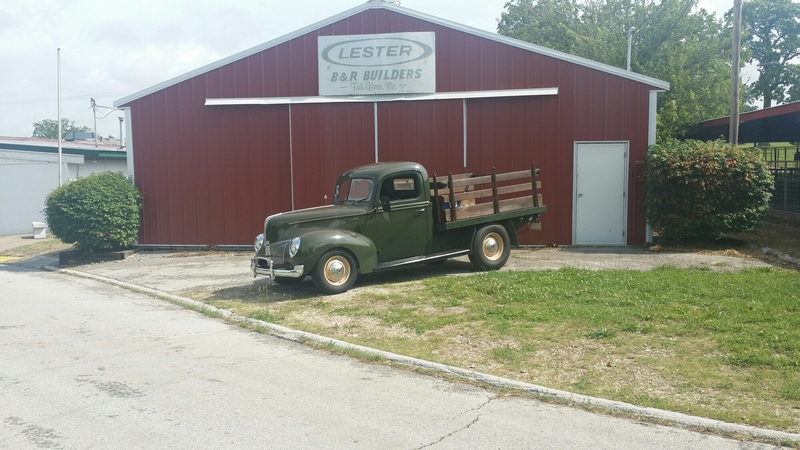 A gratuitous photo of my ’40 stake truck sitting in front of one of the barns on the fairgrounds. I spent some time talking with Mike McLung. He and his wife were on their way back home to Los Angeles, CA, after a trip through Nebraska, South and North Dakotas, and many other places between. 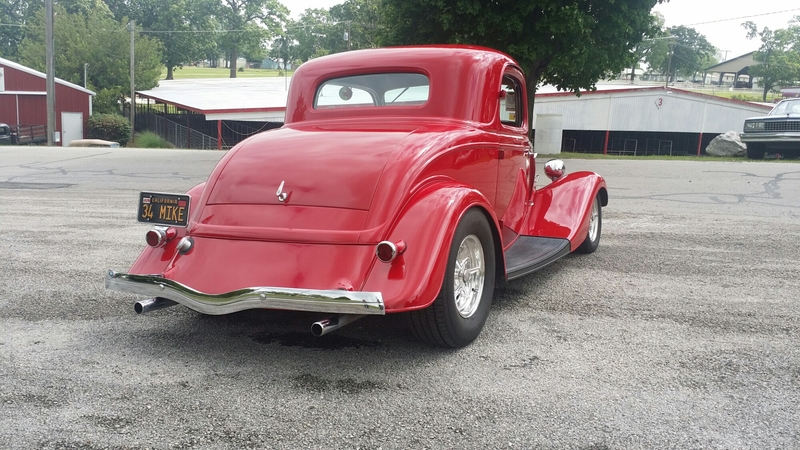 Mike told me that he’s put over 250,000 miles on his ’34 3 window since he’s owned it, and if I remember right, has rebuilt it twice since he’s had it. 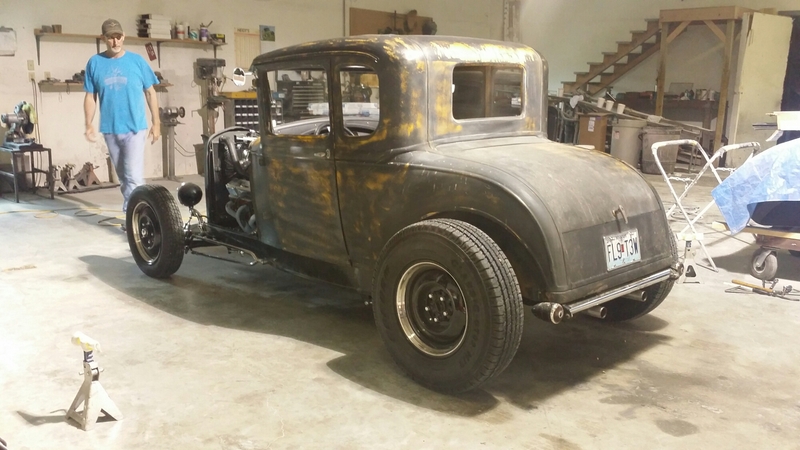 During the last rebuild, Mike put a Jerry Kugel rolling chassis under it. 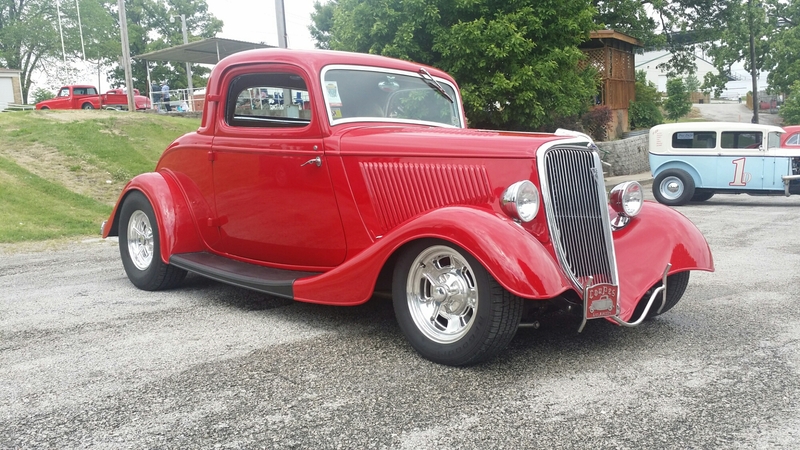 I definitely love seeing hot rods get driven, and Mike and his missus definitely do that! No NSRA MidAm Nats seems to be complete unless it rains! This time, it was on Sunday morning. The sun was out and shiney, and I had the windows down. 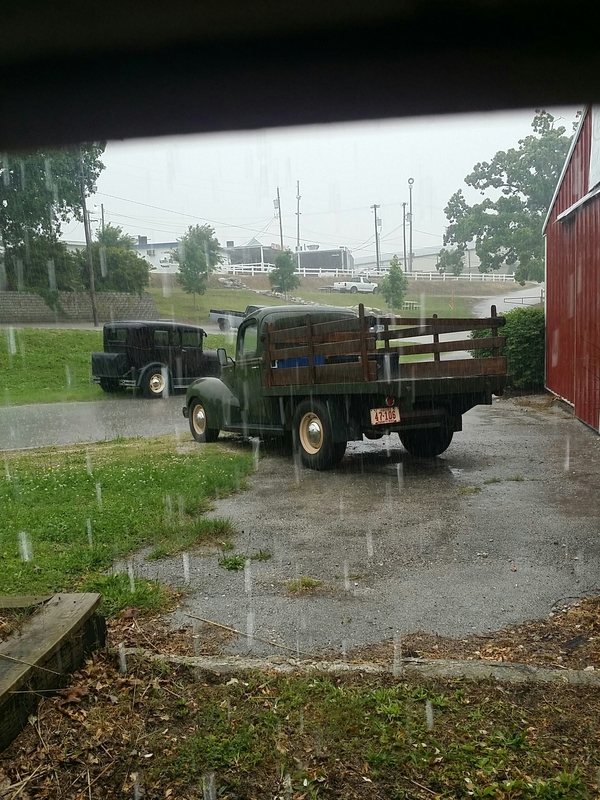 While I was in the worship service, I heard the rain coming down on the roof of the arena, and had to leave before Jim Rowlett finished the message, but made it down to get the windows up before the truck filled with water! Monday, after the event, I ran down to Doug’s shop, and we did some adjusting to the rear end alignment, to try and help some apparent driveline vibration. 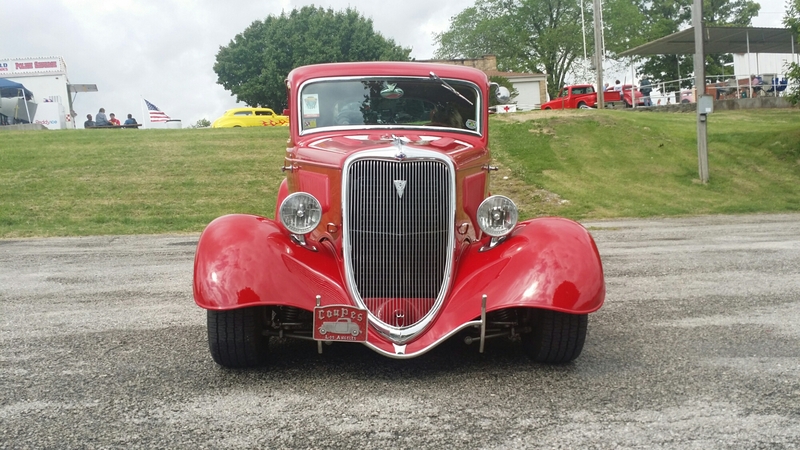 Of course, with any adjustment, you have to go out and road test!